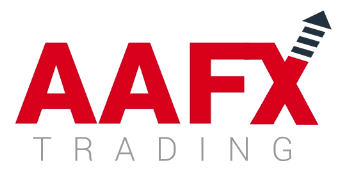 AAFX Trading Broker Review | AAFX Trading Reliable or Scam Broker? Is AAFX Trading reliable? AAFX Trading spreads, AAFX Trading regulation, AAFX Trading account types. I am going to clarify all those topics in this AAFX Trading review. Keep reading to find the answers. AAFX Trading is one of the few forex brokers that accepts clients from the USA. After 2008 Great Financial Crisis, US regulators (such as SEC, CFTC) tightened the regulations for finance and investment firms. These new stricter rules deter forex firms to hold operations in the US. The leverage is lower compared to other jurisdictions and required capital to operate in the US is much higher compared to its peers. Thus we don’t see a lot of forex brokers based in the USD. However, the market is still there. Investors from the US are looking for higher leverage, tighter spreads, free bonuses etc. On the other hand, only few off-shore forex brokers are willing to open forex trading accounts for US citizens due to the fear of being fined by the US watchdogs. AAFX is among those rare forex brokers. It is headquartered in Saint Vincent and the Grenadines and regulated by FSA SVG. The company is founded in 2013, so passes one of my criteria of being a reliable forex broker. Negative balance protection feature should be noted as well. Not too many forex firms provide this feature. Those of you who have been trading since 2015 (SNB’s abrupt EURCHF 1.20 removal) would know the worth of Negative Balance Protection. Spreads are tight and they offer a lot of options in terms of deposit / withdrawing funds. Even though, AAFX Trading was established in 2013, the Company has a strong reputation in the industry. I should say that SVG FSA is not among my favorite financial regulators however, AAFX Trading gets a high rating from me in terms of reliability due to its pro-client approach such as extensive and quality customer services, segregated customer accounts and social responsbility contributions. AAFX Trading is an active financial supporter to the projects of international charitable organizations such as Red Cross and UNICEF. AAFX Tradinng offers company stocks, commodities, equity indices, precious metals, oil and cryptocurrencies in addition to forex pairs as trading instruments. Only cryptocurrency offered by AAFX Trading is Bitcoin and traders can trade it with a leverage of 10:1. AAFX Trading does not charge any commission and / or fee on Bitcoin orders. On the other hand, Gold, Silver, Corn, Wheat, Coffe, Sugar, Soybean, Cotton, Natural Gas, Rice, Copper, Palladium, Platinum and Cocoa are the commodities that are offerred by AAFX Trading. 35% Welcome Bonus – The new traders who deposit a minimum of amount of 500 EUR/USD get the 35% tradable bonus. 30% Redeposit Bonus – Existing clients will be able to enjoy this special 30% bonus on top the amount they deposited. AAFX rewards either existing or new clients the opportunity to get a free smartphone conditional on the amount deposited and lots traded. Does AAFX Trading Accept US Clients? Yes, AAFX Trading accepts clients from the US. AAFX Trading is an off-shore forex broker and as you alread know I am usually very cautious versus off-shore forex brokers. They don’t rank high in terms of reliability. However, AAFX Trading becomes an outlier, getting a high rating in reliability department as a result of its pro-client approach such as segregated accounts, swift and quality customer services and generous bonus and promotions. Additionally, AAFX Trading could be an option for US residents who are in search of higher leverage. The Broker is one of the rare forex brokers that accept clients from the US. Customer support in many languages. Wide range of trading instruments. High leverage. Accepts clients from the US. 1) 35% Welcome Bonus - The new traders who deposit a minimum of amount of 500 EUR/USD get the 35% tradable bonus. 2) 30% Redeposit Bonus - Existing clients will be able to enjoy this special 30% bonus on top the amount they deposited. 3) AAFX rewards either existing or new clients the opportunity to get a free smartphone conditional on the amount deposited and lots traded. The broker is an important factor in the Forex market. Therefore, I very carefully choose AAFX. This is an online Forex trading and CFD brokers, offering clients a variety of ways to trade, the most competitive trading conditions and the best trading experience in financial markets. His asset management division also offers a portfolio management solution that allows access to an investment product at the institutional level. Every financial market is uncertain and totally variable. Because the currency rate is changing according to the market situation. Successful market forecasting is only possible through adequate market analysis. That I am receiving from AAFX. They are the best in fundamental and technical analysis. Based on both analyses, they are offering their trader real-time market streaming with necessary charts and quotes that help the client make the correct trading decisions. This broker surely could be on the top of the best brokers list. I have been trading with this broker for last 3 years. It has very good execution system where I can trade without any major execution problems like slippage, re-quotes etc. I get 1 pip spread rate on major pairs and 2000:1 leverage on their fixed account. It also transact my money within one day with minimum fee. I’m looking for some brokers with ECN account and low spread. You have all I need. Do you have commission on top of spreads?